Naperville Windows & Doors® was founded with a single purpose – to provide the homeowners of Naperville, Aurora, Plainfield, Wheaton and other western suburbs of Chicago with a better choice in a replacement window & door company. 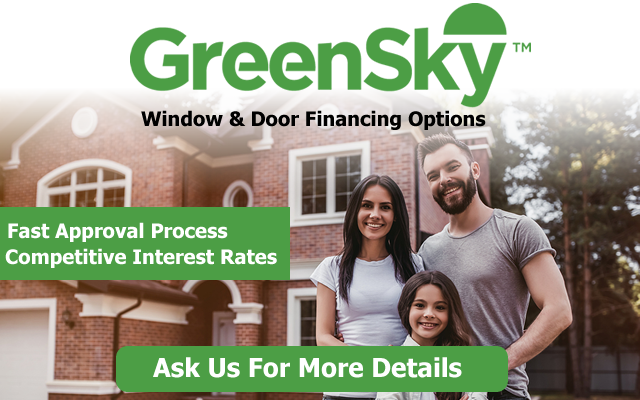 To do this, we knew that we had to offer better quality windows at great prices, and back them with a higher level of service and the most professional installation. When you place your trust in the professionals at Naperville Windows and Doors®, you have the peace of mind in knowing that you’re working with a company who is well-known and trusted throughout the local community. We are proud to serve the Naperville area, as well as all of the surrounding suburbs. When renovating or remodeling your home, we know how crucial it is to have all work done properly the first time. Naperville Windows and Doors® takes installation very seriously, employing only the most skilled and experienced installation professionals. So go ahead, dream big and let us turn your vision into a reality. We have learned through experience the difference that superior quality makes when remodeling or renovating your home. At Naperville Windows and Doors®, we offer an extensive selection of the most popular and highly-rated replacement windows and doors to enhance the beauty and value of your house. Regardless of your budget, we will work with you to implement the best solution for your windows or doors. Call us today for a free consultation and see the difference that our commitment to quality makes! There is a reason why we’ve become one of the fastest-growing providers of replacement windows and doors in Naperville. We take great pride in providing service that is unmatched by our competitors, and work tirelessly to earn your trust. This includes working efficiently, maintaining open communication throughout the entire process, providing honest, accurate estimates, and being there long after the sale to answer your questions and address any concerns you may have. Whether you’re building your dream home or renovating your current home, you can trust Naperville Windows and Doors Corp, to perform with integrity, efficiency and the utmost professionalism. At Naperville Windows and Doors Company, we understand how important it is to have a choices when building or remodeling your home. With this in mind, we are proud to represent some of the most trusted and sought-after brands in the industry. Regardless of what you have in mind, we promise to do everything in our power to make your project a success. This includes lifetime manufacturer warranty and our special 5 year warranty on all service and installation. Windows: Integrity From Marvin, Pella, Simonton, Marvin, and Alside.